Home Sport What Is Roses to Lancaster? What Is Roses to Lancaster? What is Roses to Lancaster? Well there is of course the usual spiel that Roses is the largest inter University Sporting event in Europe, seeing 107 teams play in 33 different sports in the clash of these two great Universities and that in itself is something to brag about and fills Lancaster students with pride. But to Lancaster, Roses is more. It brings college rivalries to a stand still as we see the finest sportsmen and women from across the University come together and identify themselves not by their college names, but as Lancaster. It is the chance to forget about league tables and bring out the raw competition of the there and then, each match with its own merit and each player there due to their own skill and credit. Of course there isn’t just the sport. There are the spectators, some of whom may not normally consider themselves sports fans, and the media who halt everything else to ensure that their number one priority is to cover all events as far as they can and get the best possible footage, news and the atmosphere to the people back home. Roses isn’t just something that our students and Students’ Union get excited about – even the top table at the University are gearing up for it. The Chancellor has organised Croquet practice for our Students’ Union President and Vice-Chancellor in preparation for the annual event. 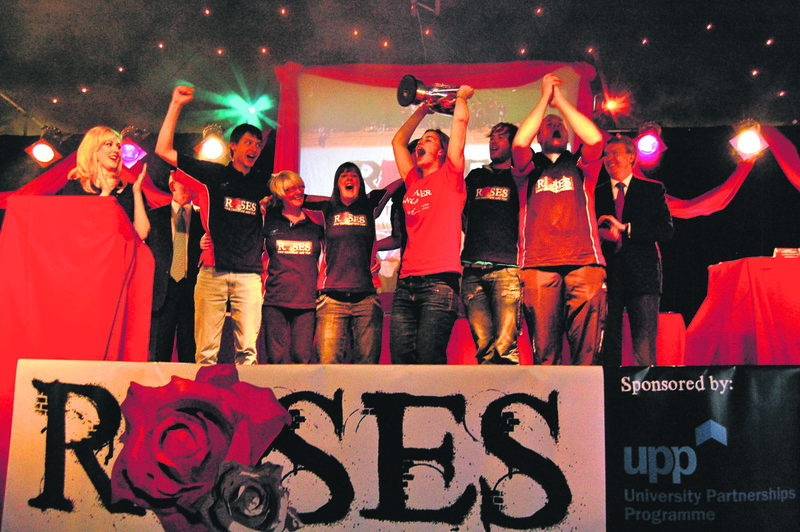 Other Universities have their inter-varsity competitions between neighboring institutions, but Roses is different: something bigger that makes Lancaster and York extra special. If this wasn’t the case we wouldn’t go to the effort, training and preparing the year round for an annual trip across the Pennines once a year. Yes Lancaster may be one victory behind York and yes an away win always seems unlikely, but in Lancaster we have the opinion: “If York did it then surely we can do it at least one better”. Roses is the chance for us to be the best we can be, show off to the top of our ability. Not just in sport, but in spectators, chants, media and team spirit.